Today’s consumer power has compelled organizations to shift from a company-centric to a customer-centric focus. Customer-centric companies celebrate new ideas, continuously question the status quo, and prioritize the user experience. UX is an integral part of a customer-centric business strategy. This whitepaper provides a framework for assessing the maturity level of user experience within companies to guide future investments and initiatives. 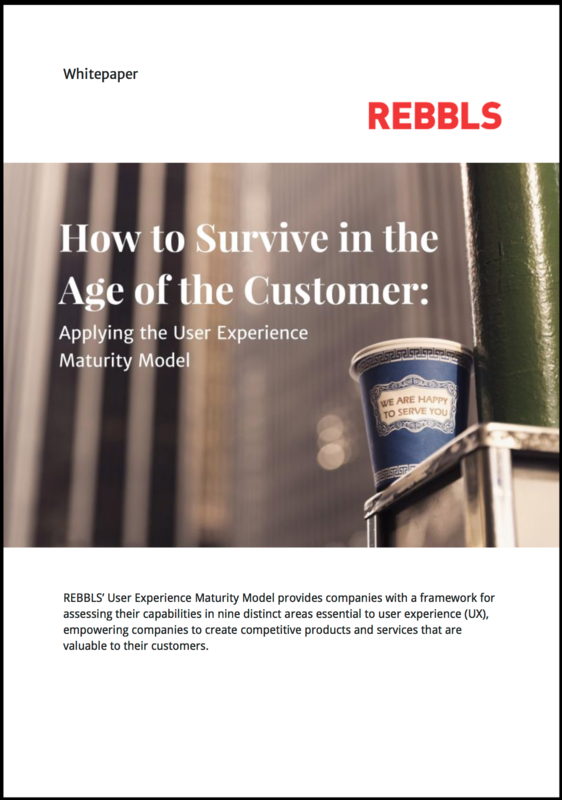 • The specific stages a company goes through when establishing and maturing its UX practices using REBBLS’ User Experience Maturity Model. • How to identify existing and potential customer behavior and emotions. • How to accelerate, adapt to shifting market demands, and respond to UX research.